Pic is Fuzzy by Design. DO YOU KNOW THAT Every once in a while we have an opportunity to rub elbows with the rich and famous and may never know it?? Without giving away the person’s identity I will try to keep you in suspense at least for now, and let you do a bit of guessing, guessing to see if YOU can identify him. This gentleman has played shuffleboard in Florida for several years and has always been keen on winning. On occasion Stan has featured him on his blog. 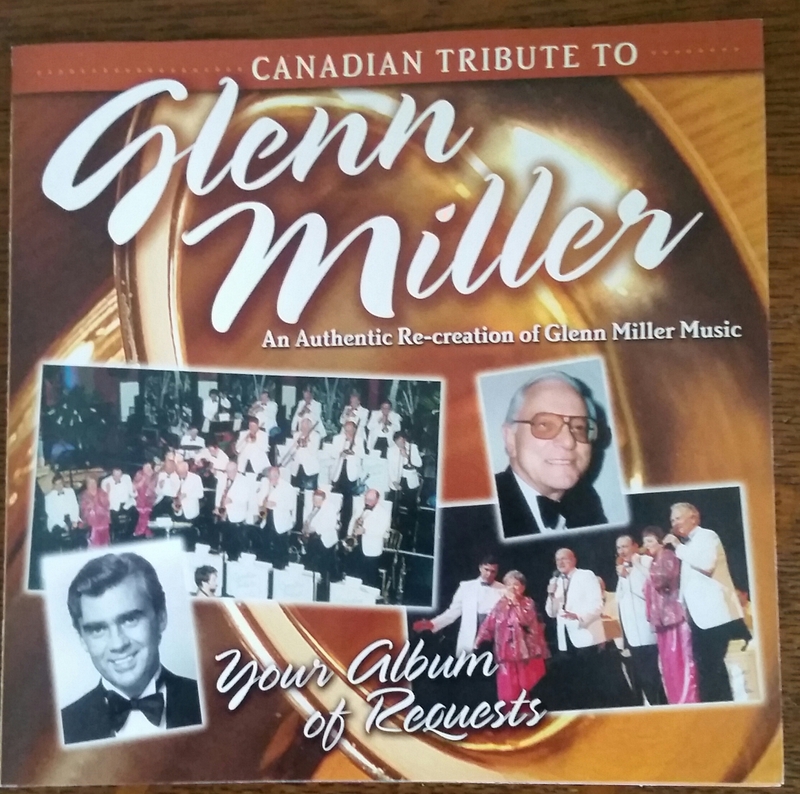 This gentleman played a musical instrument in a rather famous name tribute orchestra in Canada, and if you are over 50 you might recall the name of the war time band from the USA they were paying tribute to. the gentleman we are speaking of is shown in the back. Stay tuned for a follow up article with more information on this quiet celebrity. Reply in the comments section if you think you can tell us his name. Stan Speaks: We have already had two responses, IN ABOUT 10 MINUTES, so we know we have aroused some interest!! I am adding a follow-up article by the contributor: By now some of the readers may have put a name of this mystery gentleman but still not sure. He was a member of the St Petes shuffleboard club and later moved to the Lakeland area and began playing in the central district. His wife is also a keen player and we’ll known in the CD . When ever there was music this man we called the Trumpeter would always be in step. He could adlib and put words and his own music to a song that would suit most any occasion . If you were lucky enough be have been around Woodbrook Estates in Lakeland Florida you will know for sure who he is. I recall him approaching a world champion curler by the name of Glen Howard and offered to take him on as a shuffleboard partner when he retired from curling. Maybe we will see a new team in the circuits next year. By now you recognize who this is and We want to wish Bob Read and his bride Linda a safe trip back to Canada. This is a copy of the picture in the CD jewel case that holds the greatest songs of our time. 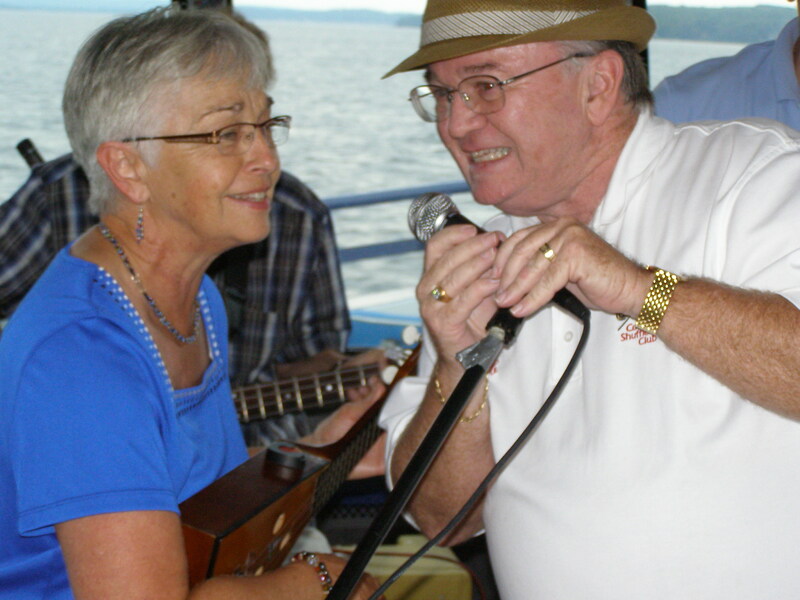 Stan Speaks: As a follow-up to Glenna Earle’s “comment” here are my remarks following the performance of our Mystery Guest, Trumpeter Bob Read and Glenna , following their performance on board our Cruise Ship as an integral component of our Very First Inter Provincial Tournament, 9 years ago. From Barrie Ontario, on trumpet, we had the consummate entertainer, our leader, Trumpeter Bob Read. Bob did an outstanding job of keeping the show on track with the right balance of humour, and song variety!!! His audience ate it up. To see Glenna (Earle) and Trumpeter Bob in full form at the mike, check the pic!! Thanks to Bob and Glenna! Thanks to our “Contributor” for this article. Name withheld at his/her request. Might this be our wonderful and talented Big Band man from ON, Mr Bob Read? If so, I had the distinct pleasure and opportunity to play with Bob briefly. What a guy! It was a treat I shall never forget, one of my favourite memories. YOU GOT IT Glenna! Please Go back to the article as it NOW APPEARS on the Blog. Thanks so much for you MUSIC, and for quickly identifying the “Mystery Man”. Actually Dave, when Bob (Trumpeter Bob) and Glenna (Earle) were performing on the main deck of the ship, Henry Strong was the ENTERTAINER one deck up!! Apparently he did a GREAT JOB!!! Thanks for your comment Dave. Bob has always been a great contributer to the apri shuffle social activities at the Coldwater Shuffleboard club. With his witty humor and the jokes he would pull on some of his fellow shufflers ( and visa versa) it sets and maintains a tone for an active lifestyle amoungst the seniors. All an important part of shuffleboard.